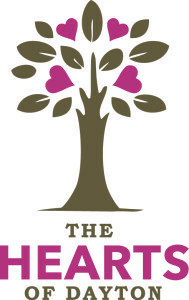 Visit our downtown businesses from January 15 to February 14th and show your love for our community! Purchase a heart for $1 – $500 or more, and your donation will support Dayton Friday Nights, the annual summer celebration downtown on Friday Nights. 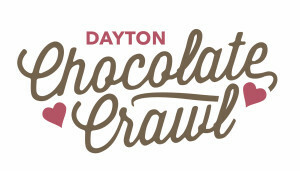 We will cap off this month long campaign with a very special downtown Chocolate Crawl on February 13th, 11am – 3:00 pm. Dayton Community Development Association is a nonprofit 501(c)3 organization. 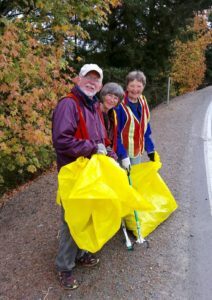 Your donation is tax deductible as allowed by law. 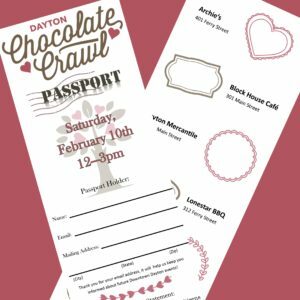 We will cap off the month long Hearts of Dayton campaign with a very special Chocolate Crawl on Saturday, February 13th from 11am – 3:00 pm. “Passports” can be purchased for $10 at participating businesses. Use these on the 13th to experience chocolate bliss with your Valentine. Your passport will get stamped at each business you visit, where you’ll get to indulge in different chocolate treats. When your passport is full, you’ll leave your passport at the last spot you visit, where it will be entered into a grand prize drawing. Again, proceeds may be tax deductible and will support Dayton Friday Nights. 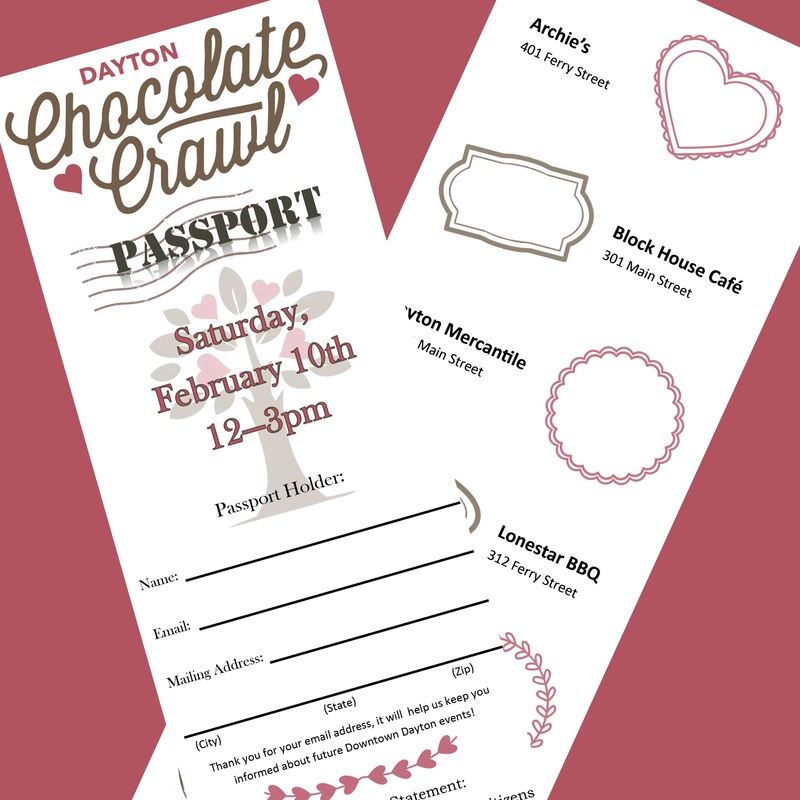 Spend $25 for a heart during the Hearts of Dayton campaign and receive a free passport! Make a trip out to the Dayton area during Thanksgiving Weekend, an Oregon wine country tradition when more than 150 Willamette Valley winemakers throw open their doors to visitors and pour special vintages, conduct exclusive tastings and lead behind-the-scenes tours. It’s a great time to visit some of the smaller boutique wineries that are rarely open to the public, and to enjoy live music and specialty food pairings during tastings. Dayton is situated less than 5 miles away from 47 of the wineries and vineyards in the Dundee Hills AVA of the Yamhill Valley, including Seufert Winery in downtown Dayton, and Sokol-Blosser, Domaine Serene, Archery Summit, and Domaine Drouhin Oregon. 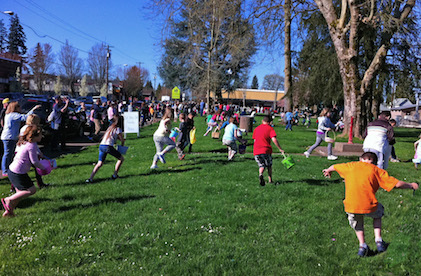 The Willamette Valley Winery Association offers a listing of participating wineries.